The new SPS785 GNSS Smart Antenna is a fully capable GNSS receiver that is priced for a faster return on investment. It features Trimble's high-quality GNSS accuracy at a lower price point. The SPS785 has full satellite coverage with the combination of GPS and all GNSS constellations. 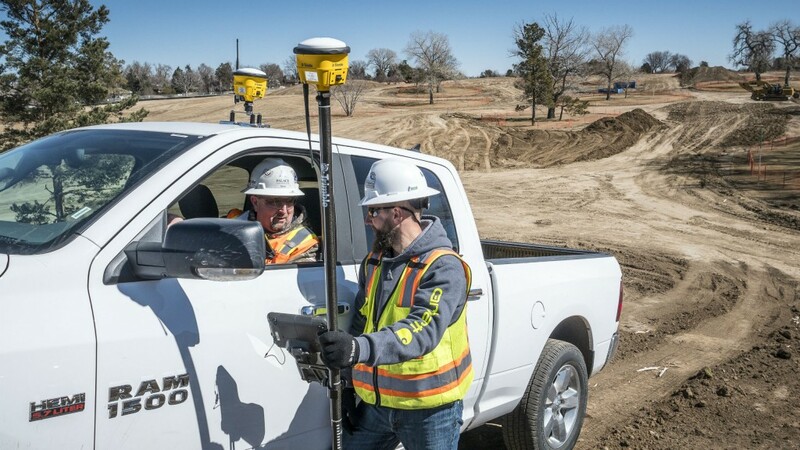 A seamless workflow with the Trimble Siteworks Positioning Systems means that everyone on the jobsite can use the same data and work on the same platform. For added protection, the SPS785's radio antenna fits inside the range pole. The lightweight and compact design enables contractors to work longer with less fatigue. The SPS986 is specifically designed for rugged jobsite measurement applications, and is now available with a dynamic tilt upgrade. The dynamic tilt feature allows for faster data collection to enable construction surveyors to create larger digital terrain models faster and with improved accuracy. It is designed to capture higher accuracy measurements on steeper slopes from a moving vehicle and more accurate volume measurements to save time and money on material planning. The dynamic tilt measurement mode also auto-measures antenna height. From inside the vehicle, contractors can set the height of the antenna and quickly interrogate surface models using the real-time 3D surface display in Trimble Siteworks field software. "This vehicle-mounted solution is simple to install and easy-to-use," said Scott Crozier, general manager for Trimble's Civil Engineering and Construction Division. "Supervisors, inspectors, grade checkers, site engineers and construction surveyors will appreciate the ability to accurately measure sloped surfaces while driving the site with SPS986 and Trimble Siteworks. They can now do more with the same tool."